The above map is a user-friendly version created by Mobile Baykeeper staff approximating the information shown in Alabama Power’s Plant Barry inundation maps. The map shown above is ONLY an approximation of more detailed maps released by Alabama Power in their Emergency Action Plan for Plant Barry and should NOT be used for emergency planning purposes. The total area impacted by coal ash would likely be larger and expand farther down the Mobile River. (Mobile, Ala.) – Alabama Power recently released Plant Barry’s coal ash pond Inundation Maps detailing areas, including parts of the Mobile-Tensaw Delta, which would be covered with toxic coal ash if a dam failure were to occur. The maps are part of Alabama Power’s federally required Emergency Action Plan (EAP) prepared for Plant Barry in the event of a natural or manmade disaster. 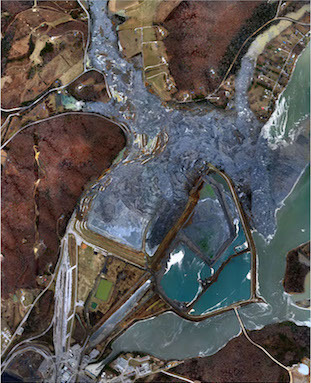 TVA Aerial imagery from before and after the 2011 Kingston coal ash catastrophe. While the map shows the immediate area that would be most directly affected by a disaster, Pete Harrison, staff attorney for Waterkeeper Alliance, emphasizes it is only for emergency planning purposes and the actual area affected would be much larger than shown on the map. Aerial Photo taken January 3rd 2016. Coal ash is the toxic waste that remains after coal is burned. It contains high concentrations of heavy metals, including mercury, arsenic, selenium, and chromium, which are hazardous to human health, wildlife, and waterways located in proximity to coal ash plants. At Plant Barry, located 25 miles north of Mobile in Bucks, AL, more than 16 million tons of coal ash sits in a 600-acre pond directly adjacent to the Mobile River and Mobile-Tensaw Delta, one of the nation’s most biologically diverse ecosystems often known as “America’s Amazon.” The ash is collected and then transported to a massive coal ash pond, where it essentially dissolves into the water in the pond. This toxin-filled water sits behind an earthen dam where it can leak into groundwater or potentially cause a catastrophic incident and spill into the nearby Mobile River. Additionally, Plant Barry sits less than a mile from the potential backup drinking water source for the more than 300,000 citizens who get their drinking water from the Mobile Area Water and Sewer System. 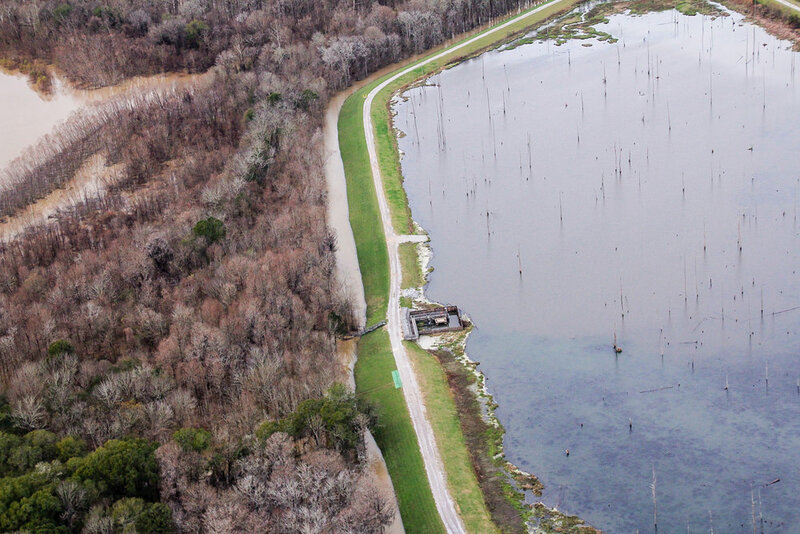 The MAWSS pumping station lies within the inundated area, meaning that it would be covered by coal ash in the event of a failure of the dam at Plant Barry. Last November, to comply with federal regulations, Alabama Power announced its preliminary coal ash closure plans to “cap in place” the coal ash at Plant Barry, leaving the ash to sit in an unlined pit and likely pollute the nearby groundwater for decades to come. This decision contrasts with the decisions made by many other utilities in the Southeast who instead chose to excavate the coal ash and move it to a lined landfill away from waterways. To view the inundation plan in full, click here. 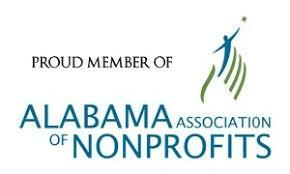 To learn more about coal ash in coastal Alabama click here. For more information, please call 251-433-4229. Older PostMobile Baykeeper awarded $56,000 grant from NOAA to help Mobile "Move Toward a Litter Free Mardi Gras"